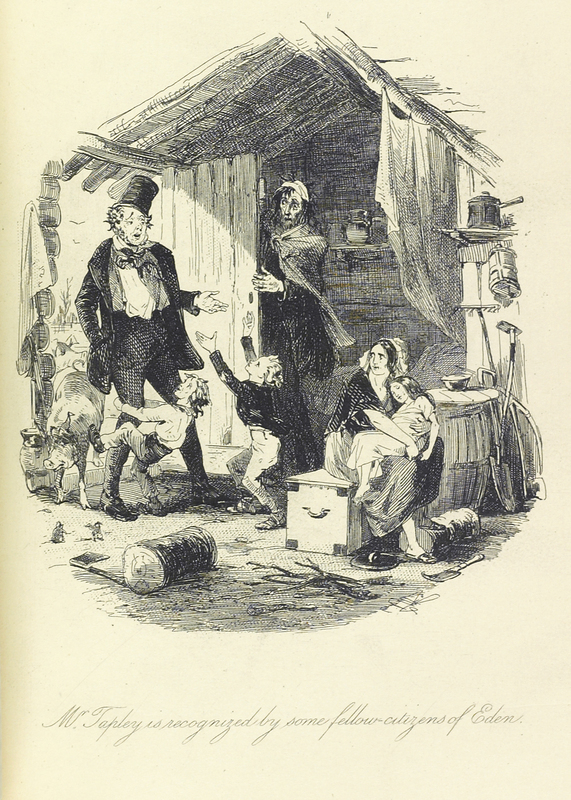 The Old Curiosity Shop; with Illustrations by H.K. Browne and G. Cattermole. London: Chapman and Hall; Philadelphia: Lippincott, 1874. 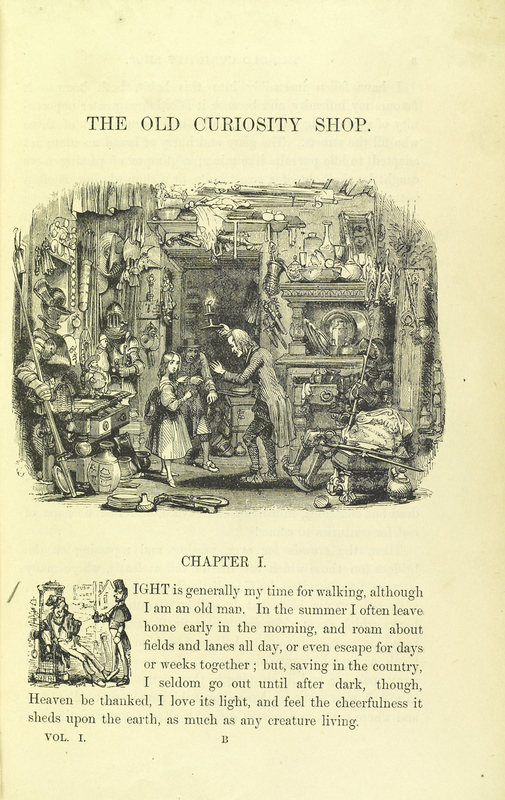 The Old Curiosity Shop first appeared in Master Humphrey’s Clock, a new periodical edited by Dickens, as a short story. 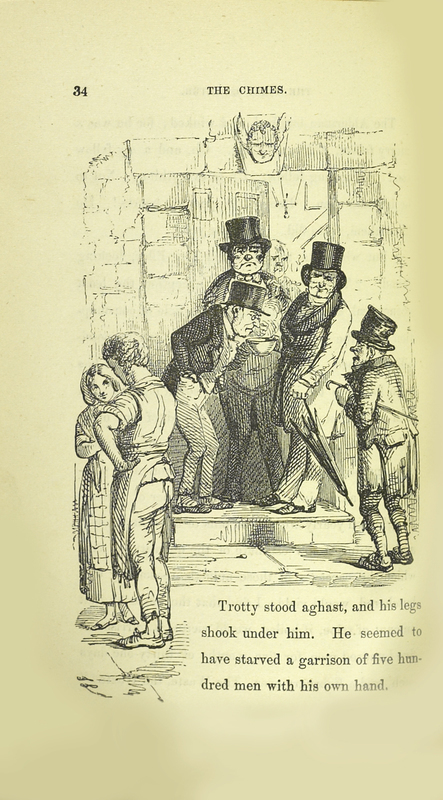 Dickens expanded upon the story in an attempt to boost sales of the periodical. His strategy worked, and The Old Curiosity Shop became one of Dickens’s top-selling books. Modern readers sometimes find the tale to be overly sentimental, but contemporary readers on both sides of the Atlantic were charmed by the characters, especially Little Nell, and found it hard to wait for the next part to be issued so they could find out what had happened to her. A Chrismas Carol. In Prose. Being a Ghost Story of Christmas. New York: Harper & Brothers, 1844. First American edition. American editions of Dickens’s works rapidly followed their English counterparts in the press. Dickens was rarely compensated for these pirated American editions. Christmas Books; with Illustrations by Sir Edwin Landseer, Maclise, Stanfield, F. Stone, Doyle, Leech and Tenniel. London: Chapman and Hall, 1876. 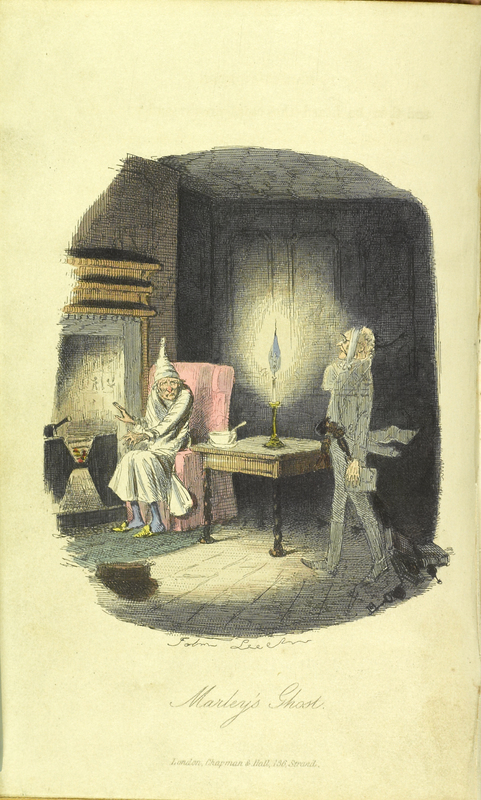 Dickens published five Christmas novellas, starting with A Christmas Carol in 1843. This collected edition contains reprints of all five of Dickens’s Christmas novellas including: A Christmas Carol; The Chimes; The Cricket on the Hearth; The Battle of Life; and The Haunted Man. American Notes for General Circulation: and Pictures from Italy; with illustrations by Marcus Stone. London: Chapman and Hall, 1874. Marcus Stone (1840-1921) illustrated this posthumous edition of Dickens’s American Notes and Pictures from Italy. Travel narratives were enormously popular with Victorian readers. Improvements to railways and steamships were opening new horizons for those who could afford to travel. For those who could not afford to travel, these types of narratives were a good substitute. Dickens wrote these two books about extended trips he took to the United States and Italy as a way to partially defray the costs of those trips. The Life and Adventures of Martin Chuzzlewit. Illustrated Library Ed. London: Chapman and Hall, 1874. This edition of Dickens’s sixth novel features an added engraved title page, and was illustrated by Phiz, a pseudonym of Hablot K. Browne. 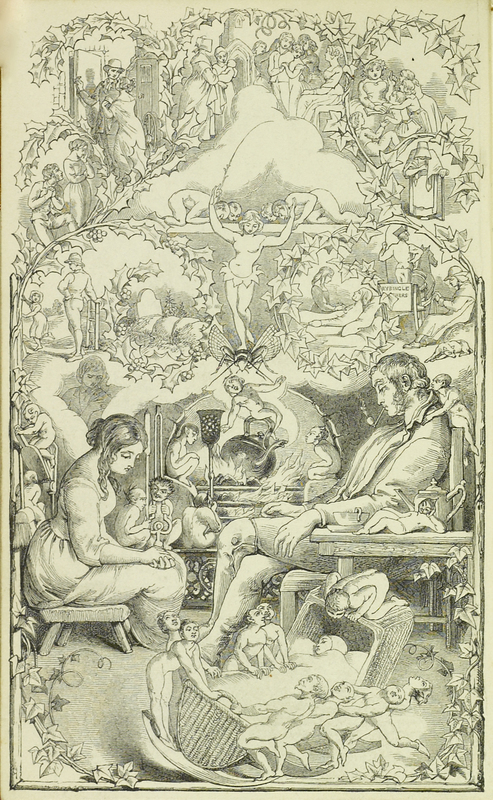 Phiz illustrated ten of Dickens’s fifteen novels between 1836 and 1859. Dickens wrote Martin Chuzzlewit after his first visit to North America in 1842. He borrowed from his travel experiences when he had the main character, the younger Martin Chuzzlewit, travel to America with his servant, the ever-jolly Mark Tapley. The American chapters were not popular with American audiences, who felt slighted by Dickens’s treatment of their country. The Chimes: A Goblin Story of Some Bells that Rang an Old Year out and a New Year in. London: Chapman and Hall, 1886. 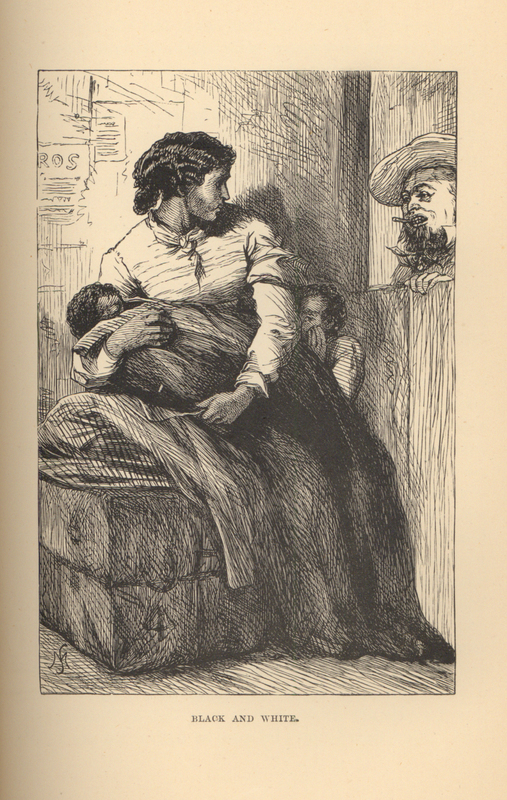 Dickens’s second Christmas book, The Chimes, uses the dream sequences of Trotty Veck, an impoverished porter, to challenge the contemporary idea that the poor were to blame for being poor, and thus were undeserving. Dickens wrote this story in which chimes play a role after being distracted and disturbed by the chimes of Genoa during a sojourn in Italy. The Cricket on the Hearth: A Fairy Tale of Home. London: Printed and Published for the Author by Bradbury and Evans, 1846. According to Dickens bibliographer John Eckel, this is the first edition of one of Dickens’s best-known Christmas tales. 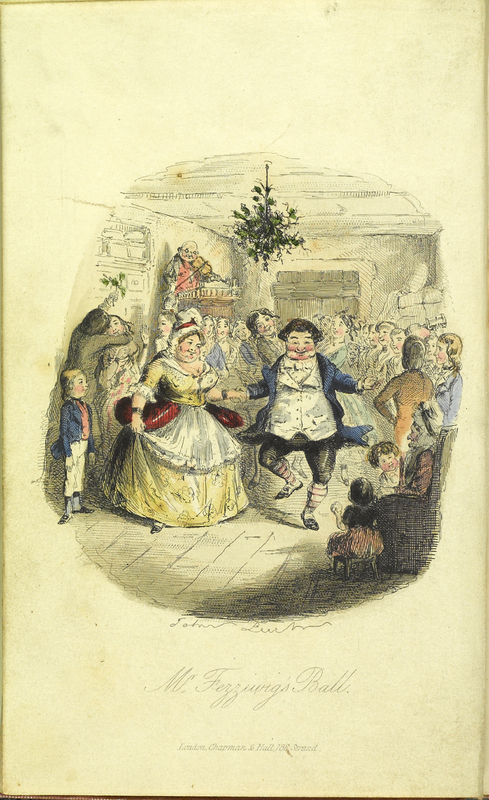 The third Christmas novella published by Dickens, it was illustrated by Daniel Maclise (1806-1870), Richard Doyle (1824-1883), Clarkson Stanfield (1793-1867), John Leech (1817-1864), and Sir Edwin Henry Landseer (1803-1873). The Cricket on the Hearth is the story of carrier John Perrybingle and his much younger wife, Dot. Their marriage and cozy home-life is saved at a critical moment by the chirping of their little household god, the cricket on their hearth.